Mostly Warays, the natives of Eastern Visayas are accustomed to the harshness of the weather but early morning on the 8th of November (2013), they were not prepared for the devastation that was about to come. Internationally named Haiyan, Yolanda was the worst typhoon most people have seen in their lifetime: lives were lost, properties destroyed, hope nearly crushed and dreams almost shattered. The first few days after Yolanda’s landfall were the hardest. The typhoon survivors felt isolated with no electricity and phone signal, food and water almost gone. Surrounded with mountains of garbage and corpses on the streets, most Warays felt as powerless as the remnants of their homes crushed to the ground by the strong winds. But as they say, no adversity can ever defeat the Filipino spirit. Filipinos worked together to help the survivors, not just in Eastern Visayas but other places as well that Yolanda has wrecked. The Bayanihan spirit once again came alive. Donations came pouring in. The spirit of volunteerism was overwhelming. Also, international aid was significant and greatly helped the survivors. Everyone pitched in. Though a lot of political bickering ensued, in the end, the Warays came through. Life still has not gone back to normal but slowly, the Warays are trying to recover and rebuild their lives. Students returned to school as early as December. Small businesses are trying to get back on their feet. Electricity has been restored. Cellphone signal is back although land lines are still dead. Those who became homeless are now staying in bunk houses, while others are still seeking shelters at some schools. One of these schools is San Fernando Central School (SFCS) in Tacloban City. This public school is situated at the corner of Real Street and Lukban Street, approximately 100 meters away from the shore. 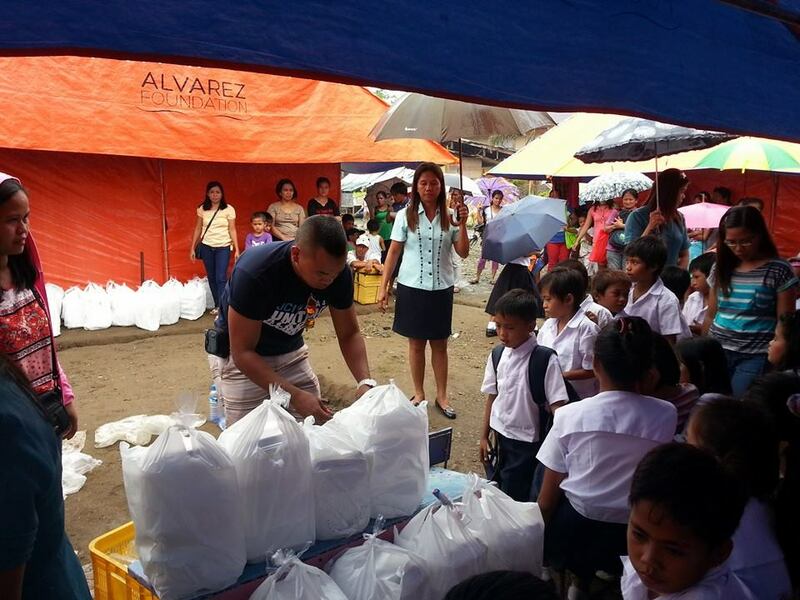 SFCS was one of the many schools in Tacloban that sustained heavy damage with 14 classrooms that collapsed and more than a thousand students displaced. 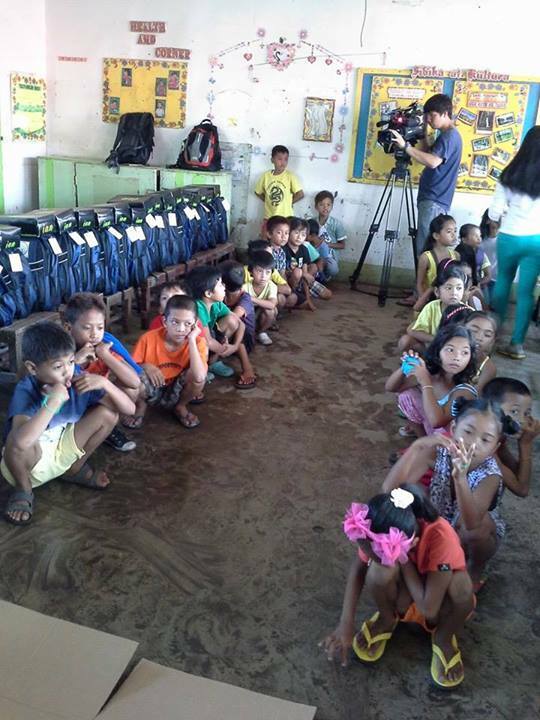 After Yolanda, the classrooms that withtood the typhoon became evacuation centers. Until now, some rooms are still used by homeless survivors. My cousin, Imelda Gayas, is SFCS’s school principal. After Yolanda, I was amazed at how she got right back to attending to her duties in school despite what her family went through. Her duties as a leader and an educator came on top of her priorities. Fortunately for SFCS, help came pouring in. 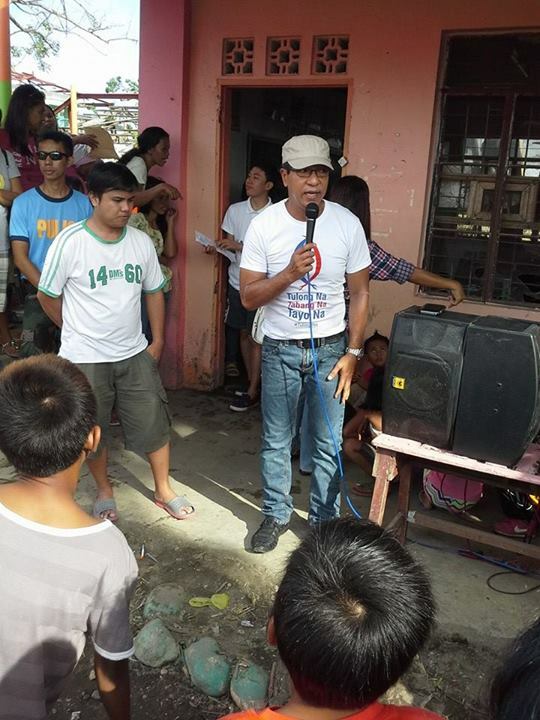 Ted Failon, a popular news anchor and a proud Waray, visited the school and with the aid of ABS-CBN helped the rebuilding of some classrooms. They also provided chairs and school supplies for the students. Also worth mentioning is the Adopt A Child program of DepEd that ensures each child is provided with his or her daily needs and can attend school regularly. Almost a month ago, Ate Melda (as I fondly call her) and I were catching up on Facebook and I asked how her school is coping after the tragedy. They seem to be on track to recovery and she is grateful for everyone who has and is helping SFCS. She mentioned though that some of their newly built classrooms are still empty because most of their chairs were swept away by the storm surge. The school is asking donations so that the students would not be sitting on cold concrete when school starts again in June. Hence, I am posting this to appeal to generous individuals who may be willing to help SFCS students. These children, early on in life, went through a horrifying experience but slowly, they are trying to rebuild their lives. They realize the value of getting an education and they are desperately holding on to their dream even if Yolanda threatened to take it away from them. Let’s help them hold on to their dream. In behalf of Ate Melda and the San Fernando Central School, damo nga salamat! Note: Photos courtesy of Ms. Imelda Gayas.